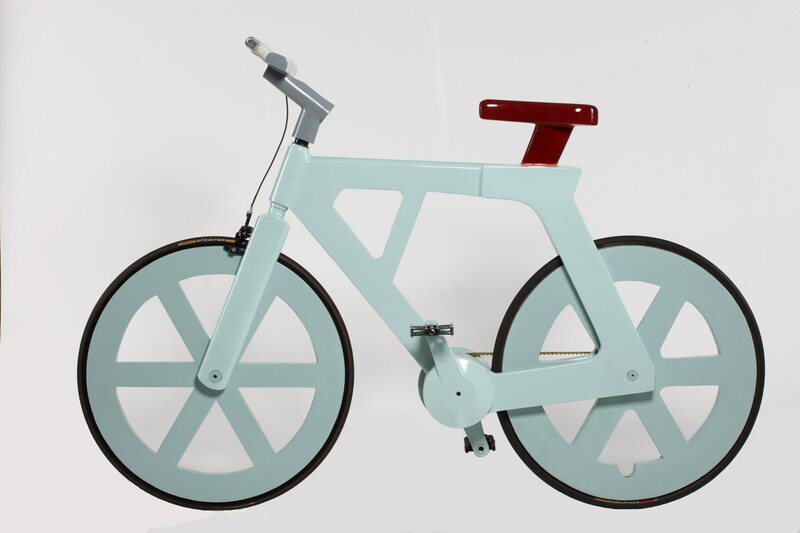 Have you ever thought that your next bicycle could be made of recycled cardboard and cost less than 90 dollars? Well, that’s exactly the working prototype Israeli entrepreneur Izhar Gafni has been building the Israeli tech blog Newsgeek reports. According to Gafni, his bike could actually cost even less – its current production cost ranges between $9 and $12, and its final price will depend on the components its future manufacturer will decide to implement. At the moment, he is looking for investors to bring his prototype to the market. As a matter of fact, Gafni himself isn’t a manufacturer, and his inspiration didn’t come from expensive market studies: he became interested in green transportation means while observing people riding bikes in the collective settlement where he lives, the kibbutz of Brur Hayil, in the Negev desert. “I really love bikes, and when I was working in the States, I asked around to see if anyone had already thought about the concept of a bicycle made out of cardboard. Gladly, I discovered that a similar concept does exist, but only with bamboo. However, when I went to engineers to ask them about the possibility of producing a bike out of cardboard, they all sent me back home, saying very clearly that it was impossible. As a result, the prototype he developed is waterproof, humidity-resistant, eco-friendly and affordable. Gafni is convinced this will be a key selling point; bike theft is a pain in big cities, and he believes his bikes will be too affordable to attract robbers. “My first prototypes looked like a Fedex box on wheels. They were ungainly and you didn’t need much imagination to see that they were made out of cardboard. When I met investors for the first time, it was hard for them to see the vision behind my bike, and I realized I had to go back to the drawing board and put some more effort to make a more comfortable, light and durable design,” he told Newsgeek.